This is a unique assignment in which students will do a little bit of science and a little bit of history. 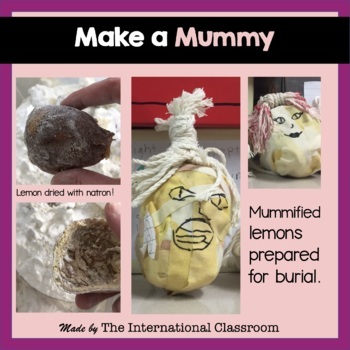 In this assignment, students will develop an understanding of the Egyptian process of mummification by mummifying a Lemon-Pharaoh. At the same time, you will conduct a science lab about the drying properties of salt, sodium bicarbonate, and sodium carbonate. 1. Learn about the steps of Egyptian mummification. 2. 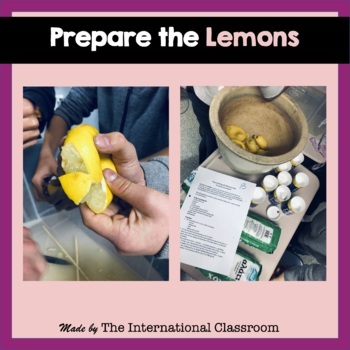 Conduct a classroom lab. 3. 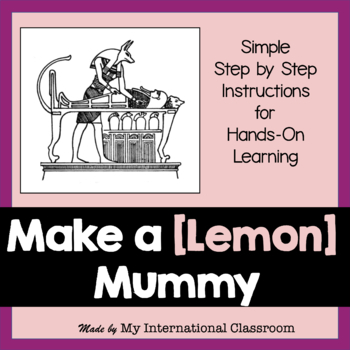 Prepare a tomb and mummify a Lemon-Pharaoh. 4. Complete a lab report. 5. 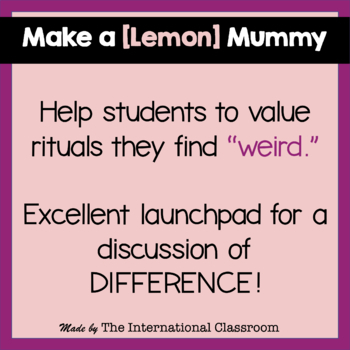 Write a paragraph about rituals.